To fringe or not to fringe …was that even a question? So I think the time has come to look for new chaps. The bottom seam on mine are coming apart, the snaps are broken and they’re starting to be ineffective. For using those of you who don’t know, I prefer chaps with fringes on them. Some people ask me whether the fringes are just for looks – and I explain to them the story of why I prefer fringes. I grew up on the prairies in Canada, and as some of you know the prairies in Canada can be very very cold during the winter times. What this means is that you have to learn that the weather can’t keep you inside or limit what you want to do. On the prairies we got lots of snow during the season and that meant that winter sports was something that I learned to do at a very early age. One of my favourite pastimes was snowshoeing. Every winter I would go out snowshoeing with my father or friends. And I learned that the value of having a jacket with long fringes was almost a necessity . On the prairies the Crees would wear buckskin jackets with extra long fringe. When I am asked why I was giving the explanation that when snowshoeing, if a person got a stick through the gutting/webbing, it would render the shoe useless. Therefore the long fringe was not for looks – they were for necessity. The extra long fringe that adorned the jacket were used for a temporary fix on the webbing of the snowshoe until a more permanent fix could be made. Fast forward to riding. I noticed quite a few of the old bikers used to wear chaps with fringes. Because I’m that kind of a person, I asked why do you wear chaps with fringes? 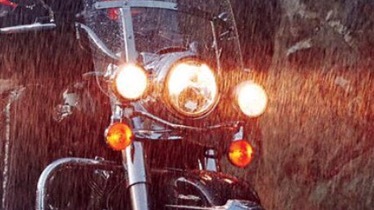 That’s when I was told by an old-time biker the reason he wore fringes was because when riding if it started to rain, the fringes acted as a wick to pull the water away from the chaps and shake it off. If there’s no fringes he explained that the wind would actually blow the water around the chaps to the back and then drive the water up and across the underside of the thigh into the crotch. Sounded reasonable but a little bit improbable. And I do admit I am a skeptic. Shortly after that, I was riding and got caught in the rain storm. My chaps didn’t have fringes and sure enough as I watched the water kicking up from my front tire, it hit my chaps, wrapped around to the back and because of the wind from the road as well as the front of the engine, it drove the water to the backside of my leg, up the back, under the thigh and to my crotch and my seat. 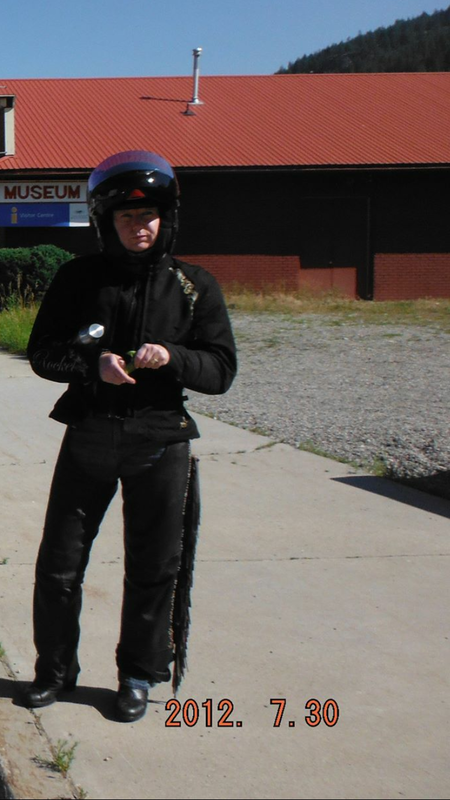 A great deal of amusement was had when we stopped at a restaurant and the only spot that was wet for me when I peeled off my chaps was my crotch. Needless to say, I made sure my next pair had fringes. Low and behold – the next time it rained, my crotch did not get nearly as wet. It pays to listen to the ones that have been riding for a while. They know what they are talking about. 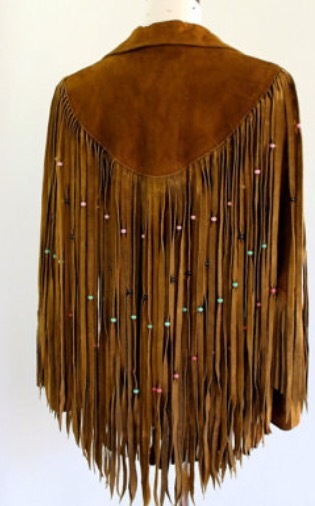 So very soon I will be on the hunt for a new pair of chaps, and – yes – they will have fringes. Neat story about the snow shoes! As far as riding I also like fringe because the extra movement can be a bit more eye-catching to motorists. Previous Previous post: Blogging for …….